I've actually never heard of a cookie swap until this past holiday season. And all of a sudden, it seems like everyone I know is partaking in one. I made two cookies from Magnolia's Bakery's Cookbook. Both were super easy and absolutely delicious. Combine the flour, cocoa powder, baking soda and salt in large bowl; set aside. In another large bowl cream the butter, brown sugar and white sugar until smooth; about 3 minutes. To the butter mixture, add the eggs and mix well. Next add the milk and vanilla extract. Blend for another minute. Stir in the flour mixture and beat thoroughly. Add the pecans. Form balls of dough with teaspoons, drop the cookies on an un-greased baking sheet. 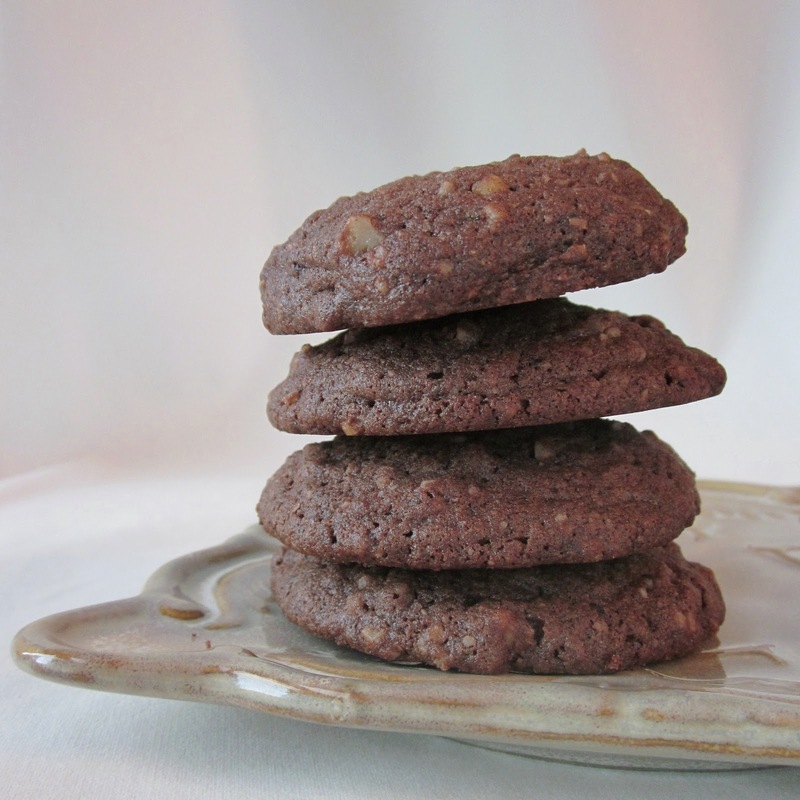 Leave a few inches between each cookie as they will need room to expand. Bake for about 10-12 minutes. Remove from oven, cool cookies on the sheet. Remove the cookies after 1 minute and cool on wire rack. 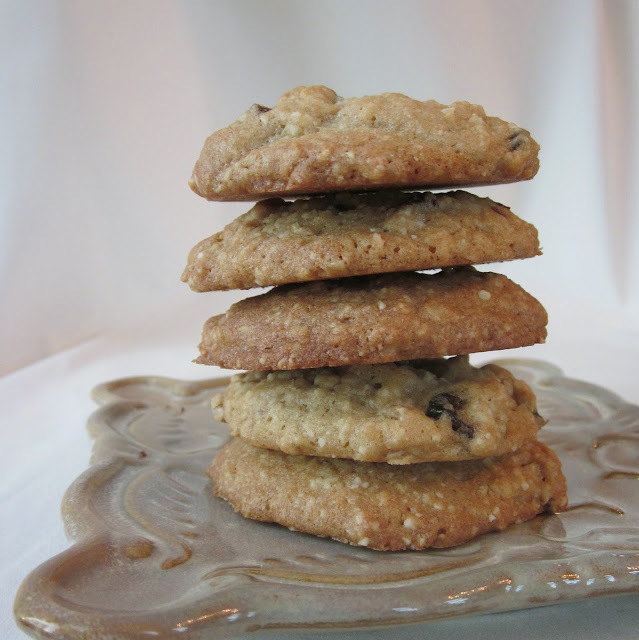 The second cookie I made was Magnolia Bakery's oatmeal raisin cookie with my own little twist. Instead of raisins, I used dried cherries. Sift together the flour, baking soda and salt. Put aside. Add the eggs and vanilla extract and mix well. Add the flour mixture in batches, beating until well combined. Add in the oats, again beating well, and then add the cherries and almonds. Chill the mixture for around 30 minutes. When chilled, drop by rounded teaspoon-full onto an un-greased cookie sheet, leaving enough room for the cookies to spread. Bake for 10-12 minutes or until golden. Allow to sit on the cookie sheet for a minute before moving onto a cooling rack. are these cookies soft or hard? these are soft cookies! the magnolia bakery cookbook is pretty awesome. i refer to it all the time. happy baking! where are the posts lately? keep us updated!! !